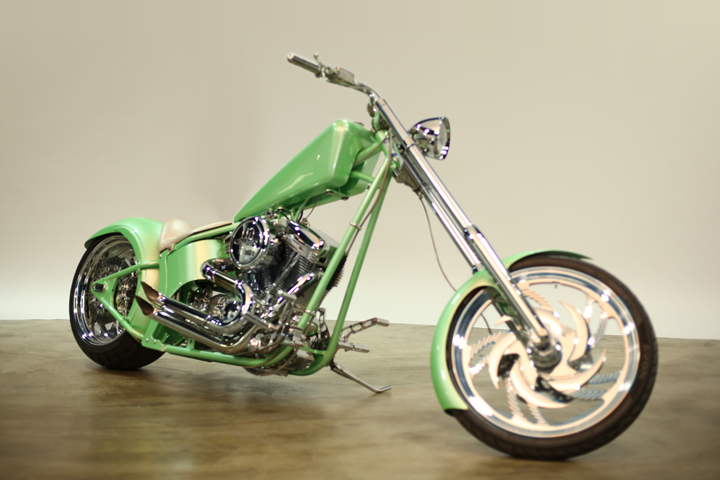 This chopper was the first motorcycle to leave Rick Dore Kustoms shop. Finished in stunning pastel shade of Caribbean Lime paint. 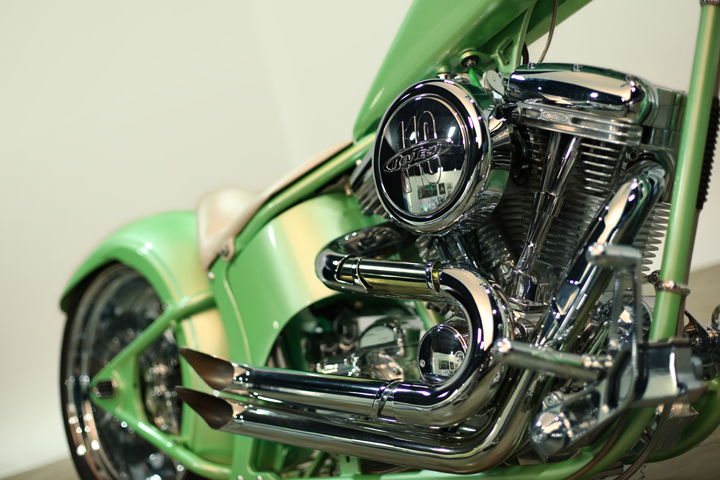 Power is provided by a RevTech 110cid V-Twin engine working through a Baker 6-speed gearbox. 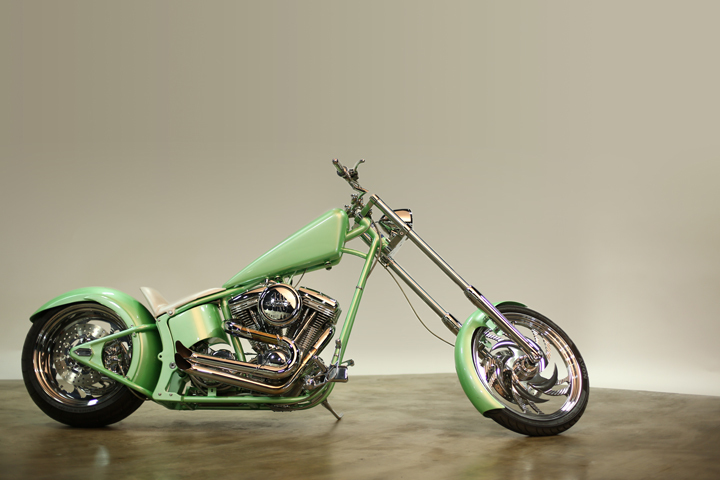 It's housed in a Paul Yaffe softail frame that delivers several inches of spine friendly rear suspension travel. 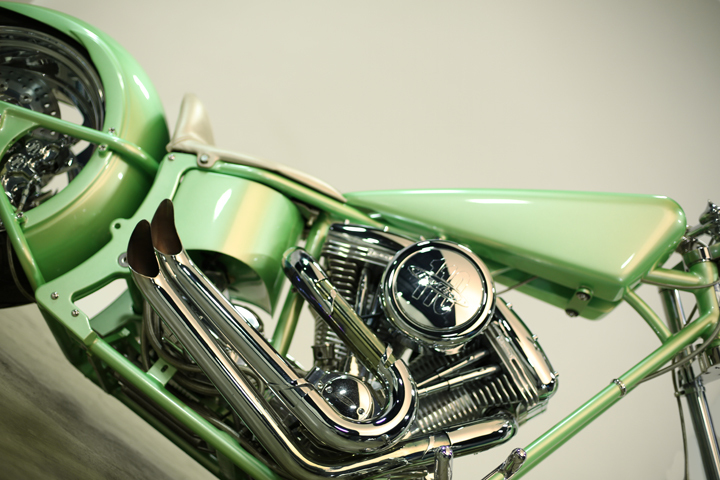 Wheels are one-off customs, carved from billet aluminum then chrome plated.